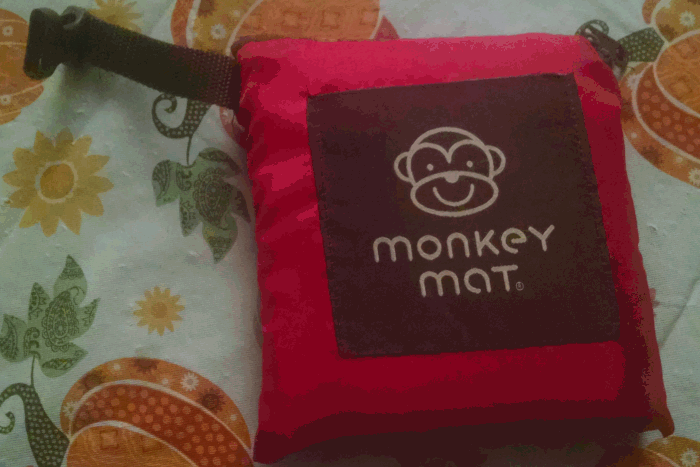 Home » Enjoy Festivals on a Monkey Mat Portable Floor! I wanted to get this Monkey Mat because it’s a Portable Floor and I was thinking it would be great to use with all the festivals and Mardi Gras in Louisiana. 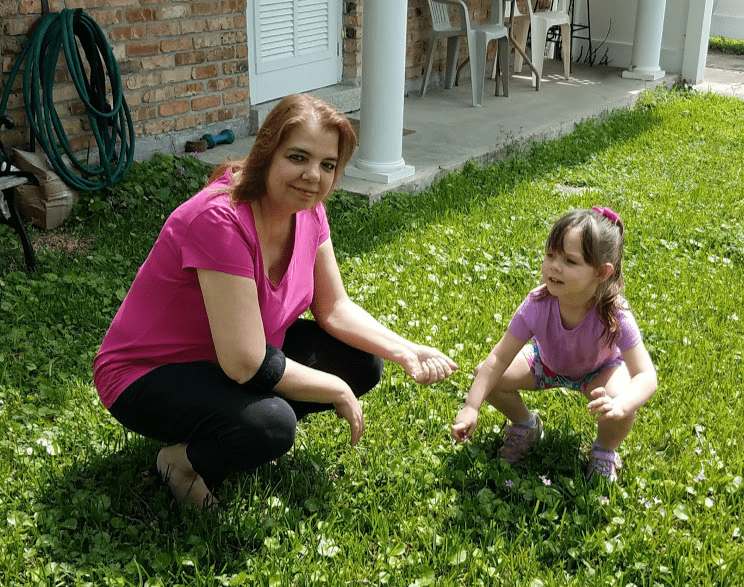 I really haven’t been able to use the mat with my granddaughter due to all the rain we have been getting. I’m sure you all have heard about the great flood of 2016, well, we are about an hour away from that, thankfully! However, we have had more rainy days than sunny days here in the Kenner area. The Monkey Mat is a 5’x5′ nylon water repellent multipurpose mat that comes in its own small (6″ x 6″) attached pouch that you can simply stuff the mat back into. The lightweight Portable Floor Pouch has a buckle to strap to any bag, backpack, or stroller. Each corner has a small weight designed to keep the mat flat on the surface. However, the weights are not designed that heavy so I know an inquisitive child can move them. It’s also a thin mat, not thick which is why it’s so easy to handle. 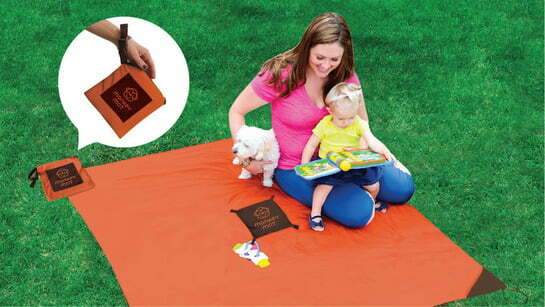 The Monkey Mat will protect your child from playing on the dirty floor or grassy area. There are Monkey Stakes that you can purchase to put into the ground to keep the Monkey Mat further secure. I received them with the mat for review. The nice thing about the Monkey Mat is that it is designed for sand, dirt or grass to easily shake off and it is also machine washable! I spread the mat out on our floor for the review. 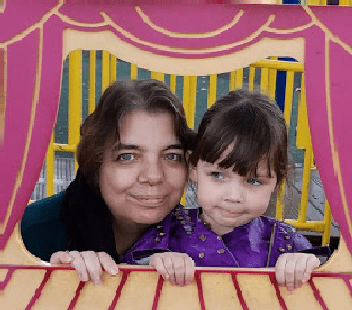 My granddaughter’s been sick so it was hard to get a pic with her on it. 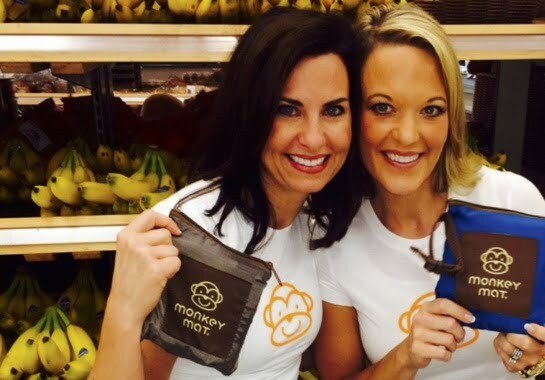 The Monkey Mat was designed by moms to provide a clean portable surface for kids; however adults can get plenty of use out of it as well. 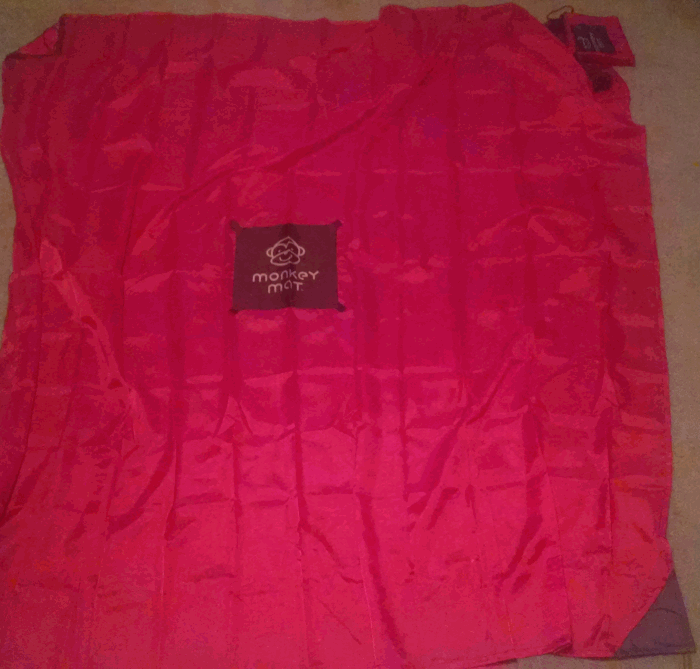 It would be great to use for picnics, or concerts, or anywhere you may normally throw down a towel or a bulky blanket. Bottom line is that the Monkey Mat is a great idea. I will definitely keep mine handy for any time I want to throw a clean surface down indoors or out. To me; for the price point and the small convenient packaging, the Monkey Mat is worth the investment! 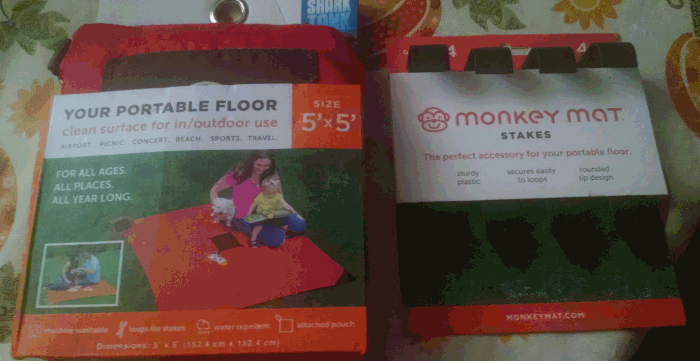 Disclaimer: We received the Monkey Mat Portable Floor for free in exchange for an honest review. Each product I review is treated like I paid full price. My review is based on my and/or my family’s personal experience with the item. I am not obligated to give a positive review and was not financially compensated for the review. Thank you for taking the time to read my review! I would love to get this Monkey Mat for my daughter as when she goes away my grandson wants down and she is concerned with might be on the floor. 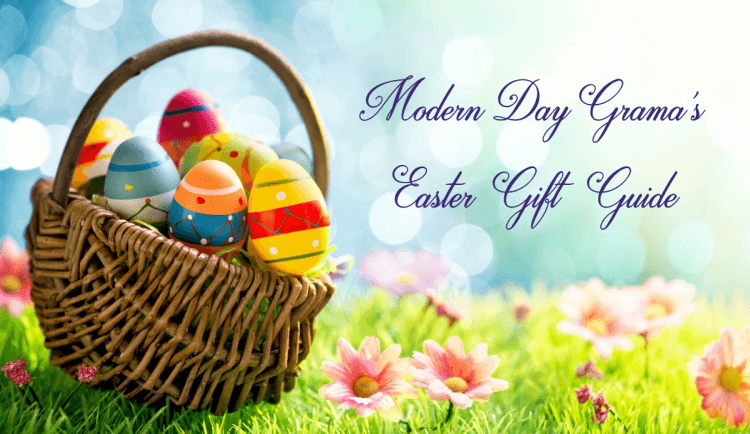 I would also like to gift her the Nutri Ninja Blender for her healthy eating choices. I try but never stick to it.